people, products, events and business news from Germany and abroad. Here you can find out everything about what we do and what matters to us. 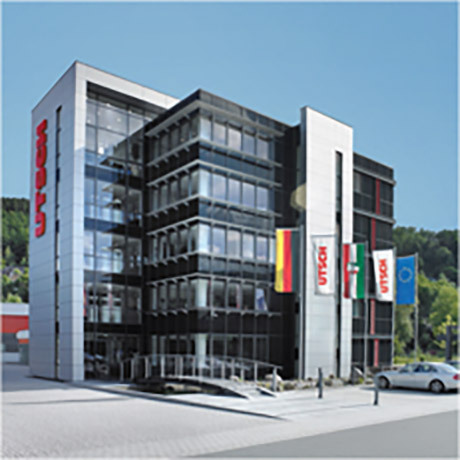 "UTSCH has achieved market leadership in the Pacific region"
Erich Utsch AG turns their new showroom into an UTSCH Experience World for customers. Erich Utsch AG supports exemplary social project in Uganda starting with 20.000 Euro. Even faster and more effective after project completion. Excellent order situation calls for massive increase in capacity. The best solution varies based on the specific requirements. With its product upress-systems, Erich Utsch AG is providing the fight against vehicle-related crime with a useful and future-proof tool. Executive Board of Erich Utsch AG eliminates uncertainties about relationship between Erich Utsch AG and Utsch Tönnjes International AG. UTSCH delivers its ulabel to East Africa – the conversion of all vehicles planned for the next three years. "It wasn't an easy decision for me to take"
"Putting the company in good hands"
Manfred Utsch publicly announced the sale of his shares. Modular systems. Individual solutions. Efficient, holistic and customised. Following inclusion in the EU database, Erich Utsch AG successfully concludes the necessary validation process.